Composer Danny Elfman and filmmaker Errol Morris push each other forward with "The Unknown Known"
Acclaimed documentarian Errol Morris has been noted among movie music buffs for his collaborations with composer Philip Glass, whose pulsing sounds have provided the score to some of Morris's best-known work. With his new film, The Unknown Known, Morris has taken another tack, enlisting composer Danny Elfman. The Thin Blue Line (1988) and The Fog of War (2003) are perhaps the two most widely-seen films in Morris's collaboration with Philip Glass, which also includes many other features and shorts, such as this film for IBM. The score to The Unknown Known — a documentary about Donald Rumsfeld — was composed by Danny Elfman. Far from unknown himself, Elfman is also not new to the world of Morris, having composed the score for 2008's Standard Operating Procedure. Best known for his work with director Tim Burton, Elfman often employs his ingrained pop sensibility — from a previous life with Oingo Boingo — to craft scores with catchy overtones built upon a strong emotional foundation. Elfman often utilizes children's choirs, a variety of percussion, and organ-like orchestrations to depart from the conventional texture of film composition; it's hard not to know an Elfman score when you hear one. However, working with Morris the last few years seems to be part of a larger attempt by Elfman to redefine himself with film scores such as Promised Land (Gus Van Sant, 2012), Silver Linings Playbook (David O. Russell, 2012), and The Next Three Days (Paul Haggis, 2010) — all of which are far from the broad, cartoonish tone of Burton movies like Beetlejuice (1988) and Batman (1989). Many of the characteristics we've come to identify as Elfman are still there, but not at the same time, they're evolved and considerably stronger. While many would say Elfman's heyday as a film composer was alongside Burton in the early nineties, it could equally be argued that what he has begun to achieve is a more accomplished, subtler, adult version of himself. Meanwhile, Morris is going ever further down the rabbit hole of truth and its abstraction, and it's requiring an evolution of his filmic and musical language. 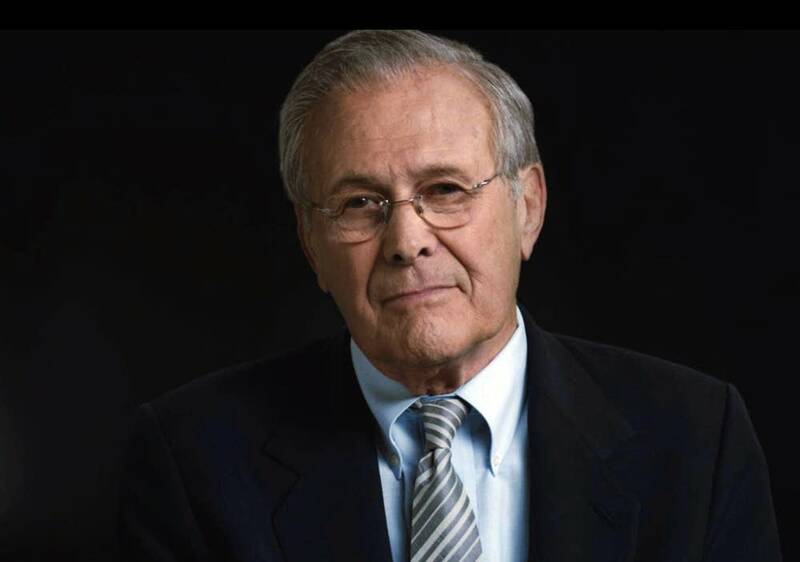 Elfman's previous collaboration with Morris was on a topic closely related to the career of Rumsfeld: the horrors of Abu Ghraib. While clearly taking a cue from Glass's work with Morris, Elfman builds upon it by bringing in a choir and other characteristic instrumentation that elegantly underline the subject matter of The Unknown Known. It's a sound that one could imagine Glass coming to, but differently. The Unknown Known is a film created by a director and a composer who are not resting on their laurels: they're continuing to evolve. It's stunning to observe.